This is not an Epic Rap Battle (although I would be very interested to see one), but I will try to make it as interesting as the “History” allows me to. 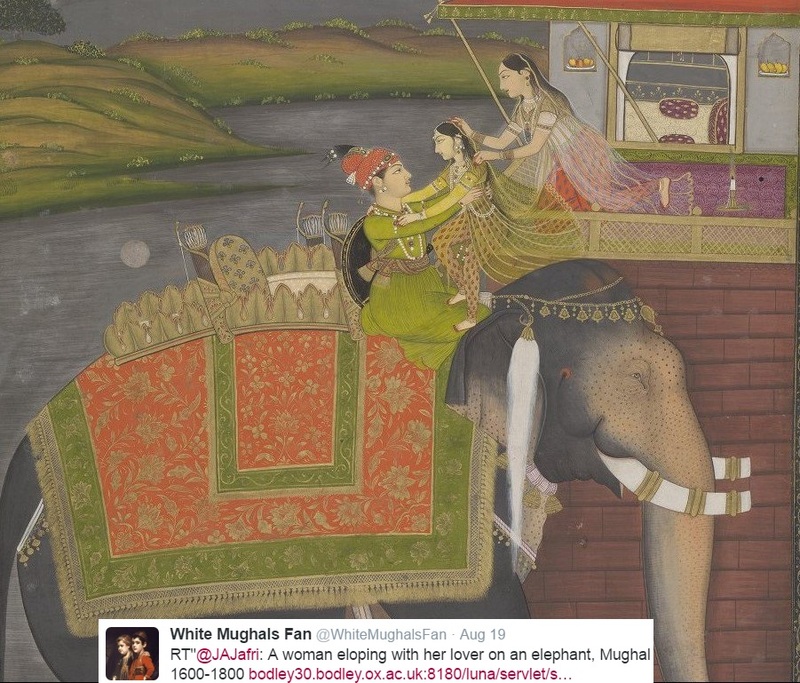 It seems the BJP’s assault on the the legacy of the Mughal Emperor Akbar is continuing unabated since the last year. After the Union Home Minister of India- Rajnath Singh called into question Akbar’s contributions, everything possible has been done to undermine Akbar’s role in Indian history- from renaming streets and roads named after him to neglecting him in the school history textbook. But for me as a student of history the biggest tragedy of this whole episode is that the BJP and its affiliates are engaging in these activities in the garb of what they think should be the correct interpretation of history and under the false pretense of re-claiming the legacy of Akbar’s arch rival Rana Pratap. Under Akbar, India’s economy was the 2nd biggest in the world (check Angus Maddison’s numbers here- http://www.ggdc.net/maddison/oriindex.htm). By “size of the economy” I am considering nominal GDP. The present NDA2 government continues to debate over the Goods and Services Tax or GST regarding which goods to include in it and what tax rates to impose on them. 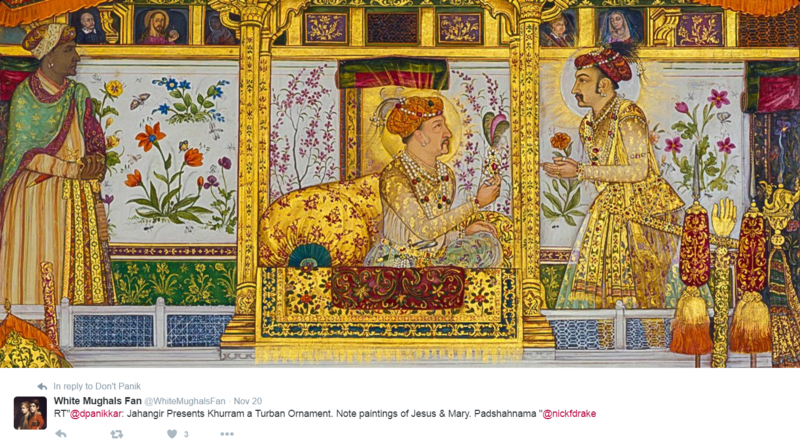 But Akbar had a fully functioning and a simplified goods and services tax in his kingdom. Goods being imported into his kingdom would be taxed at the point of entry and at the point of sale or at the markets where the goods are finally sold. While goods produced inside the country would be taxed only once at the markets where it is put up for sale. If someone is thinking that Akbar had to deal with very little political complications- please take into consideration that Akbar’s kingdom had 12 subas or provinces and over 2000 militarily powerful nobles or mansabdars and most of them had diverging interests. 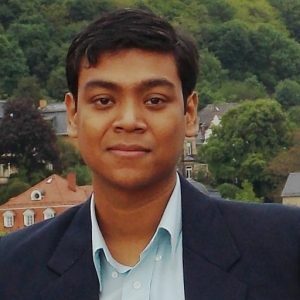 Pick up any book on Medieval Indian History, be it from an Indian writer or a foreign writer- what you will most probably see is that while writing about the economy of the Mughal Empire they will almost always refer to the “Ain-i-Akbari” written during Akbar’s rein under a royal decree. But unfortunately, the accuracy of the data collected in relation to India’s economy under the NDA2 rule has been put into question by almost all independent observers of the Indian economy- be it “The Economist” magazine or by Angus Deaton- last year’s Nobel Prize Winner for Economics. Here are some of the things banned by the BJP and its affiliates after NDA2 came to power in the centre- complete ban on beef consumption in several BJP run states like in Maharashtra and Haryana, ban of Wendy Doniger’s book “The Hindus”, ban on Leslee Udwin’s documentary, “India’s Daughter” and suspension of licences of over 4000 NGOs for “non-disclosure” of their accounts something that political parties like the BJP itself does not subject itself to. Let us make a list of Akbar’s ban- banned Jeziya tax- a discriminatory tax against Hindus, banned sati system, banned child marriage and raised minimum marriageable age to 14 for girls and 16 for boys. Moreover Akbar legalised widow remarriage and translated the Hindu text- Mahabharata into Persian. Contrast this with Akbar- who built an entire new building called the Ibabat Khana or the House of Prayer to discuss religion freely. 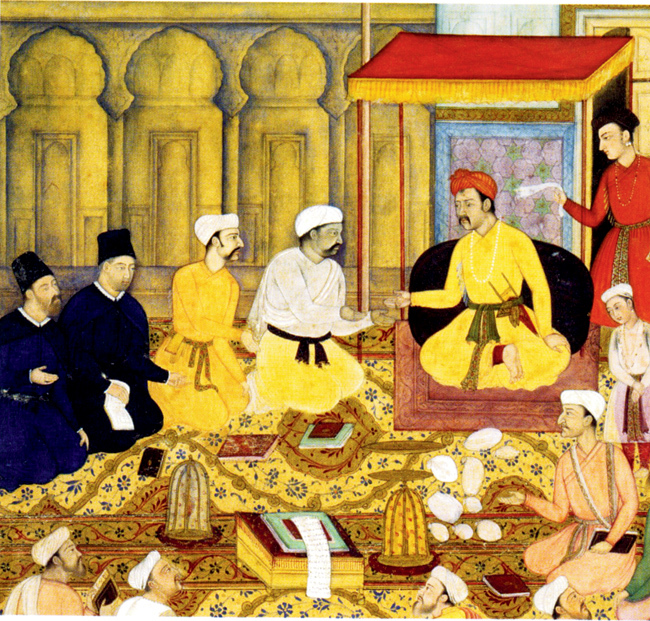 Akbar invited Christians, Zoroastrians, Hindus, Muslims, Jains and atheist to freely discuss and debate religion. This actually raises an important question regarding the dichotomy of knowledge and wisdom. 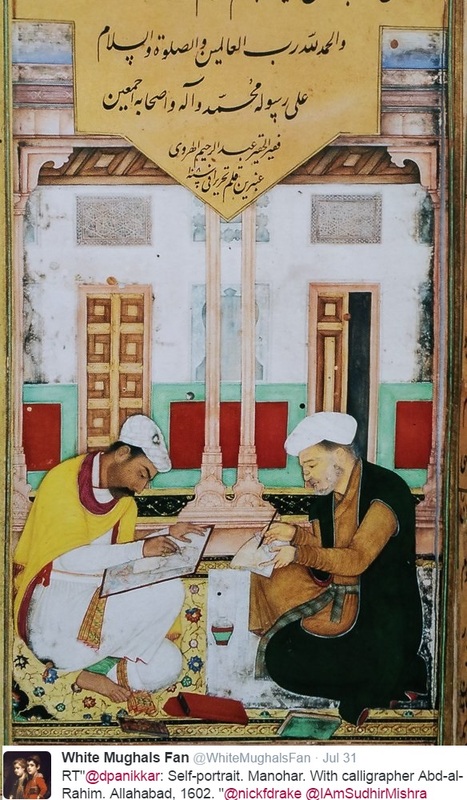 Both of Akbar’s grandfather (Babur) and father (Humayun) were quite highly educated(for their time) and they were themselves writers and poets but Akbar was completely illiterate just like 86% of his kingdom’s people. 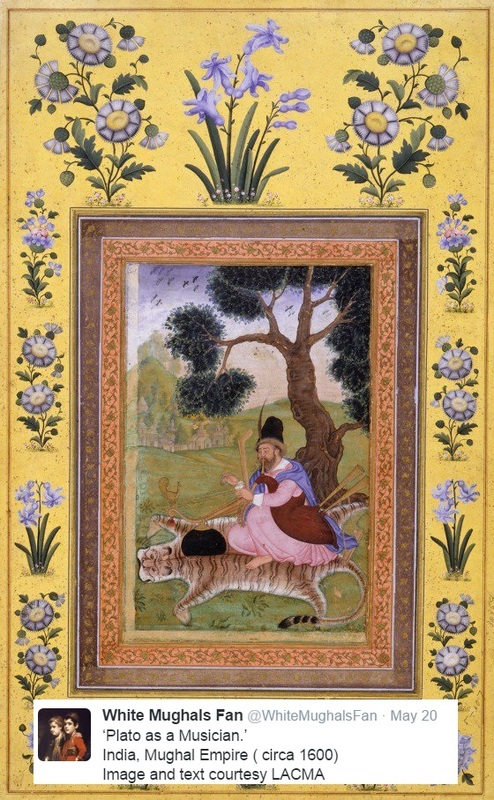 But just like the mostly literate politicians of the present day India, Babur frequently appealed to religious sentiments to achieve his goals. For example Babur declared a “jihad” when fighting against Rana Pratap’s grandfather Rana Sangram Singh (or Rana Sanga). But Akbar even though a complete illiterate realised that this path does not lead to the right direction. 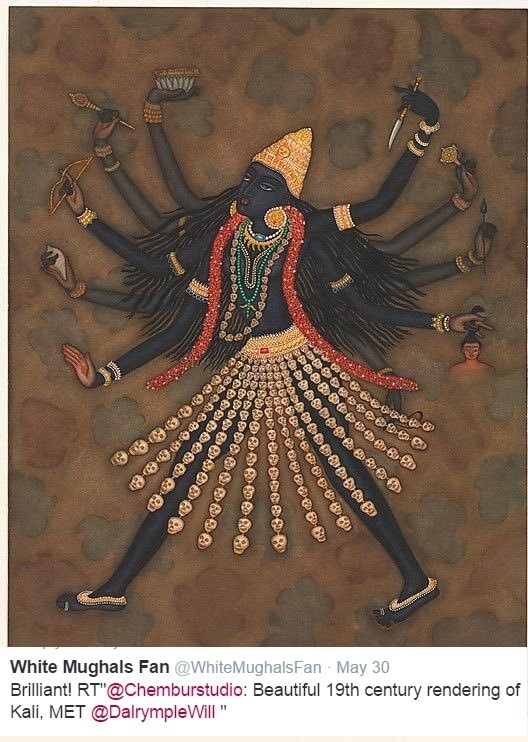 Akbar built a Hindu temple dedicated to the Goddess Bhadrakali which is now located in Hanumangarh, Rajasthan. On the other hand BJP and its associates destroyed Babri Masjid and are still very much intent on replacing it with a Ram Mandir. There is a recent tendency to ask the question “so what? It is after all just one temple or just one mosque”. Here is the answer- Akbar was a Muslim ruler, ruling an Islamic kingdom and was duty bound to rule according to the tenants of Islam. On the other hand BJP is now the largest national party in a country whose constitution not only provides safeguards of religious freedom to people belonging to all religions but calls India a “Secular” country in its very first page, i.e. in the Preamble which has now been recognised as a “basic feature” by the Supreme Court of India and hence cannot be amended. 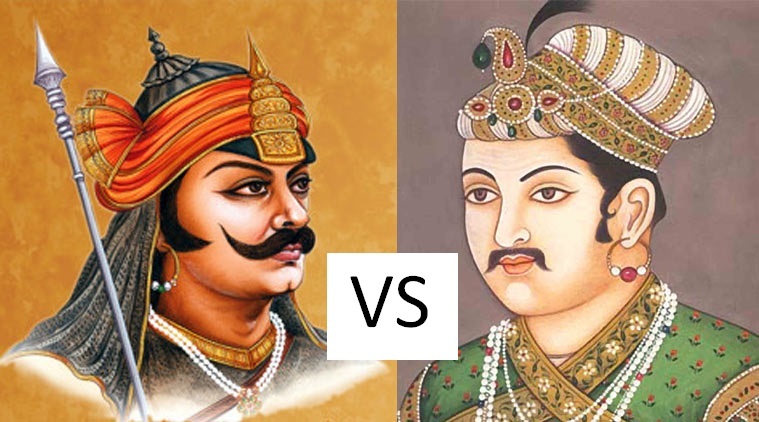 Akbar did not want to fight Rana Pratap at the first instance. Akbar communicated clearly to Rana Pratap that he will provide him with full “regional autonomy” provided he swears his allegiance to Akbar. They could not arrive at an agreement which led to open war between the two. It needs to be kept in mind here that Akbar received affirmative replies from most Ranas of Rajasthan to the same offer he made to Rana Pratap. Akbar also kept his end of the bargain in these offers which greatly decreased the potential of conflict in his kingdom. Option c- You are called a separatist and shot with a pellet gun. Akbar managed to control corruption at the upper levels of his government by exercising firm control over his mansabdars. Mansabdars were government officials who were paid a certain amount of money or assigned land which provided a certain amount of resources which needed to be used for various purposes of the state. 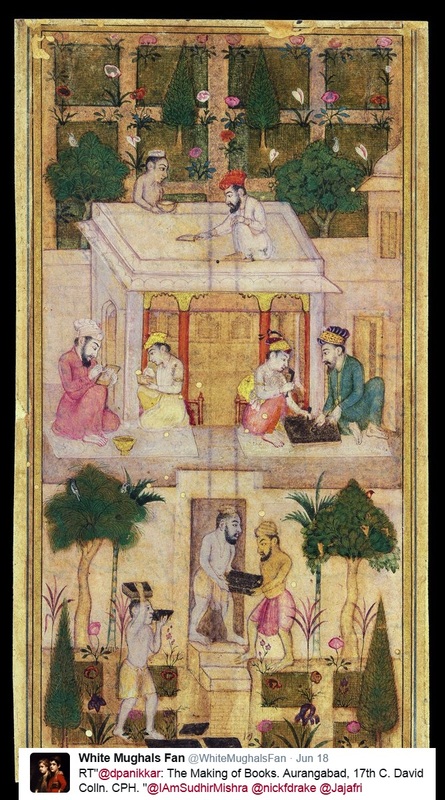 Akbar kept the mansabdars under check and made sure they met their obligations. How this system can be exploited is evident from what happened during the rule of Akbar’s son and grandson. 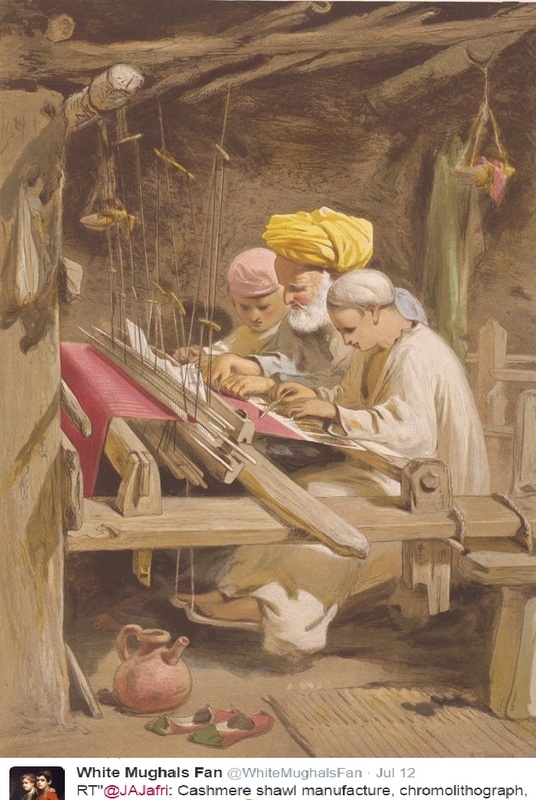 The mansabdars during the rule of Jahangir and Shah Jahan began to pocket the money given to them and use it for their own well-being which sometimes amounted to half the resources they were assigned while using only the remainder for the purposes of the state. Both Jahingir and Shah Jahan instead of taking firm action against these wayward nobles introduced reforms to reduce the amount of work the mansabdars had to do for the state with their assigned money. I don’t know about you but the actions of Jahangir and Shah Jahan reminds me of the Black Money Bill introduced and passed by the NDA in 2015 which in practice looks less like a bill to reduce black money and more like a “get out of jail free card” for the corrupt. Moreover it is evident from even the numbers that the BJP and the government has put up, that returns under this bill has been small potatoes as it aims only at small fishes. Moreover, the NDA2 government has been perpetually delaying the introduction of the General Anti-Avoidance Rule Act or GAAR and it has also not amended the Jan Lokpal Bill, 2011 to make it more effective which it promised to do once it came to power. 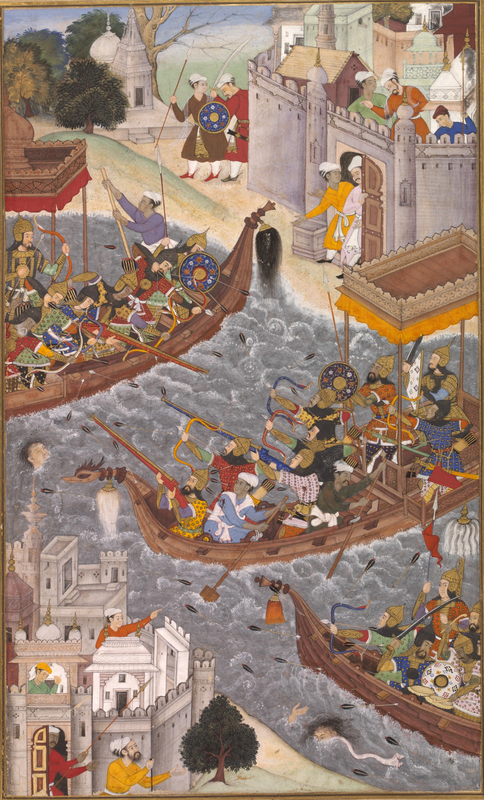 Akbar’s armed forces could fight battles continuously for years and his military officers corps were the highest paid corps in the world. Despite the excessive sabre rattling by the NDA2 government – the CAG report released in mid-2015 stated that Indian armed forces had ammunition available to fight for only 20 days. The officers of the Indian armed forces receive salary far below the IAS officers and if the news media is to be trusted there is a plan to further reduce this stature and make it equivalent to a B-level central civil servant. People who disagree with me might object to me comparing a 16th century autocratic monarch with a democratically elected government. My answer to them would be that -if they can expect a medieval ruler to adhere to democratic principles and tenants of human rights in his actions– I can compare anything with anything in hindsight. To them I say this – historians frequently deal with comparing and contrasting periods, events, personalities across different time periods and countries. For example- some of the most popular issues that historians are discussing currently are things like the date of the “Great Divergence”, which is more historically accurate “industrial revolution” or “industrious revolution”, continuous economic growth or spurts of growth etc. All these issues include comparing things which are historically and socially different. In fact there is an entire field of history called “Global History” where one of the main instruments of its methodology is making comparisons between very different areas of the world or periods of history. So, by comparing “varied things” students of history have long improved their understanding and the above is just my light hearted attempt to do something similar.